A lot of people don’t approve of cigars — they don’t like the smell, the smoke, the butts. And they don’t much care for the people who smoke them, either — mainly those annoying troglodytes of the Republican persuasion. And since most people believe cigars are simply gigantic cigarettes, they assume smokers are actively harming themselves for no acceptable reason. 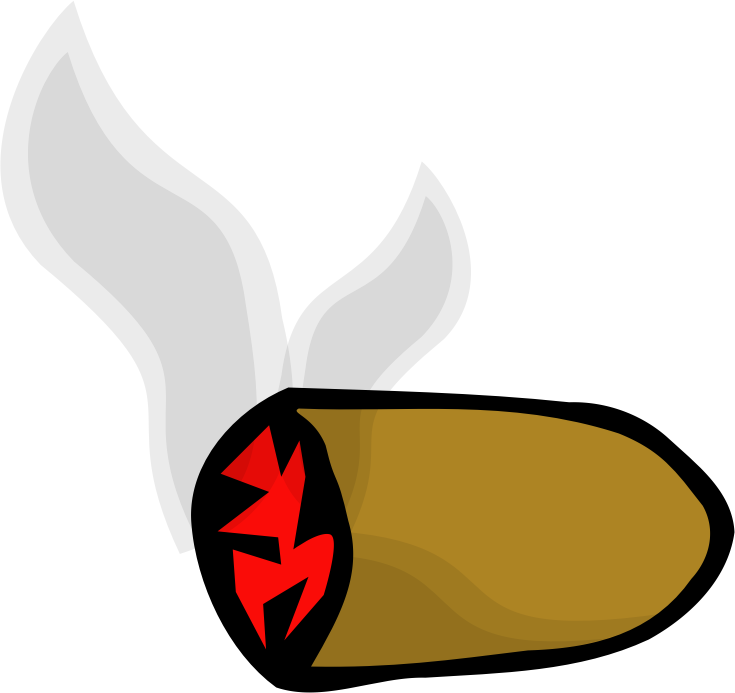 Thus, when the FDA released a study that laid out the hazards of cigar smoking, the media blared that the government had proved that “smoking cigars is just as dangerous as cigarette smoking.” Reporters collared cigar smokers for their response, and basically they said life contains risks and we should be able to enjoy ourselves anyway. It came across that science had clearly condemned cigars and only the stupids were still smoking them. This is how products get banned. First, mass hysteria flashes through the media. Then a temperance movement spools up and races across the land, inundating us with fearful stories. We panic and vote to forbid the substance. Users must travel to unsavory parts of their cities to obtain a stash. Gang wars ensue. Decades — and millions of ruined lives — later, we realize the danger was vastly over-hyped. Oops, sorry about that. I happen to smoke cigars. Maybe three a week. I also imbibe the occasional mixed drink. I’ve wondered if either could harm my health. When the FDA report surfaced, I found the original study, “Systematic review of cigar smoking and all cause and smoking related mortality”, and dug in. Apparently cigars are dangerous if (1) you inhale them, and/or (2) you smoke several a day. The increased chance of death can be upwards of 60 percent. Zounds, that’s risky. I dug deeper. It turns out smokers of one or two cigars a day have a mere two percent increase in mortality risk. And smokers overall who never inhale have only a four percent increase in risk. I multiplied those fractions together to find the probable risk for light smokers who don’t inhale, and found a risk effect of eight hundredths of one percent. This barely jiggles the meter. You’re going to die of something else. What’s all the fuss? Well, a lot of cigar smokers do inhale, even though it’s the wrong way to smoke them. That’s why cigarettes were invented. And it’s mainly ex-cigarette users who deliberately inhale cigars. I’ve never done ciggies, but I can imagine how comforting cigar smoke must feel in the lungs of someone who used to light up Lucky Strikes or Kools or Marlboros. The lovely, peaceful little buzz you get from tobacco comes from nicotine, which enters the pristine temple of your body only through the mucous membranes of your mouth — unless you acidify it, add paper and gun powder, and then inhale it, in which case the nicotine can enter the bloodstream through your lungs. This is a much quicker way to mainline the drug. But it also causes serious damage to lung tissue. Cigarette smokers must pay that price. But not cigar smokers. Meanwhile, cigar users who work their way through six, seven, eight and more sticks a day do have a definite increase in health risk. These folks are clearly addicted, and their outcomes are as bad as boozers who imbibe several drinks per day. One or two drinks won’t hurt you — in fact researchers believe they’ll add to your years — but several drinks can crush your life expectancy like an anvil. So, yes, cigars can be dangerous if you inhale them or smoke too many. Otherwise the risk is vanishingly small. The study noted that cigars increase the risk of oral cancer. So does alcohol. (My dentist told me not to use mouthwash anymore because the alcohol content is likely to increase the risk.) Still, for various reasons, moderate drinkers’ health improves overall, and moderate cigar use adds up to virtually no risk. Basically, a cigar is about as safe as a glass of wine. But uttering this, in our crusading political climate, is like talking in a hurricane. Meanwhile, the do-gooders are busy legalizing marijuana. Apparently that drug is now the correct one to inhale. Aside from the obvious risks to my lungs, weed gives me panic attacks. Can’t I just smoke my cigars safely in peace? No. The harassment has begun. No doubt the politically correct believe it’s for my own good. This won’t end well. Sure, I’ll enjoy cigars while they’re legal. But once the damage is done and tobacco is outlawed, I’ll probably have to buy cigars from a street gang and try not to get arrested. A sentence of ten years in the pokey for lighting up a stogie — that would harsh my mellow. And probably shorten my lifespan. UPDATE: Second-hand marijuana smoke more dangerous than second-hand cigarette smoke? UPDATE: Human genetic tolerance for cook-fire smoke increased a thousand-fold? ← If the Feminists Are Wrong, Do the Chauvinists Win? Rudyard Kipling (1865–1936). Verse: 1885–1918. 1922. In the soft blue veil of the vapour musing on Maggie’s face. But I could not throw away Maggie for fear o’ the talk o’ the town! With never a new one to light tho’ it’s charred and black to the socket! Open the old cigar-box—let me consider a while. With only a Suttee’s passion—to do their duty and burn. The wee little whimpering Love and the great god Nick o’ Teen. But the only light on the marshes is the Will-o’-the-Wisp of Love. Light me another Cuba—I hold to my first-sworn vows. If Maggie will have no rival, I’ll have no Maggie for Spouse!